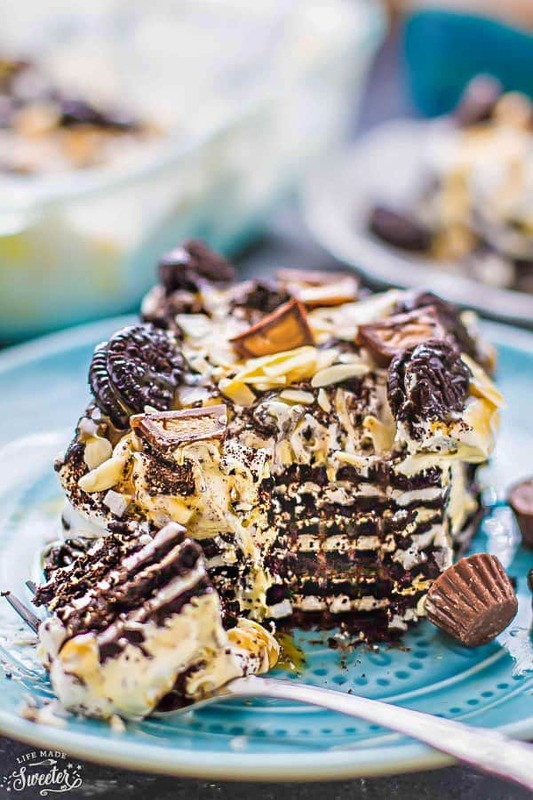 Peanut Butter Cup Oreo Icebox Cake is the perfect easy dessert for summer barbecues, potlucks and parties. 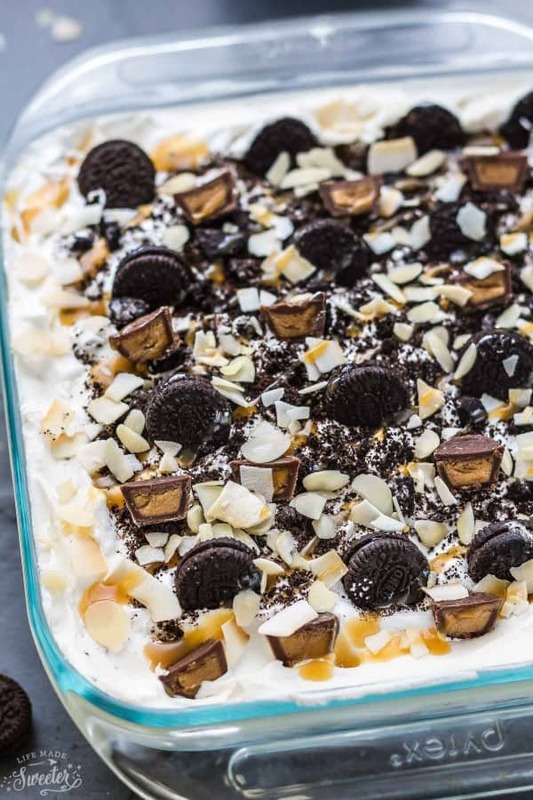 Best of all, it’s easy to customize and loaded with layers of Oreo cookies, a whipped cream and pudding filling, and peanut butter cups. 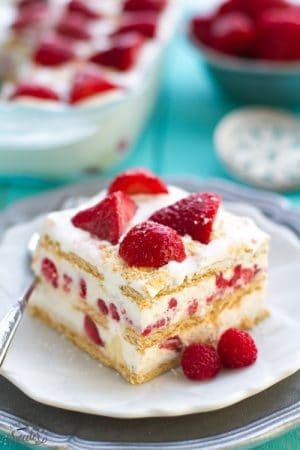 As much as I love pretty and complicated desserts, there are some days I just feel like making something super EASY. 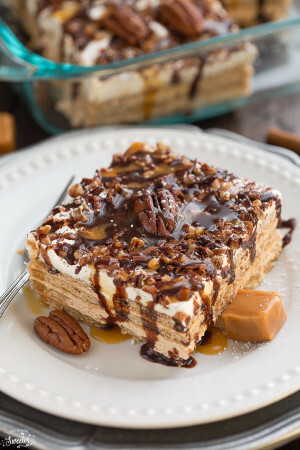 You can’t get any easier than icebox cakes. They’re so simple to whip up and perfect for feeding a crowd. Plus even your kids can help out if you need to keep them entertained after school. It takes less than 15 minutes and a handful of ingredients. You can use pretty much any milk you have on hand. Be sure to dunk the Oreo cookies in a little bit before layering it with the pudding mixture. Icebox cakes are so easy to customize and the best part is getting to add your favorite fun toppings. 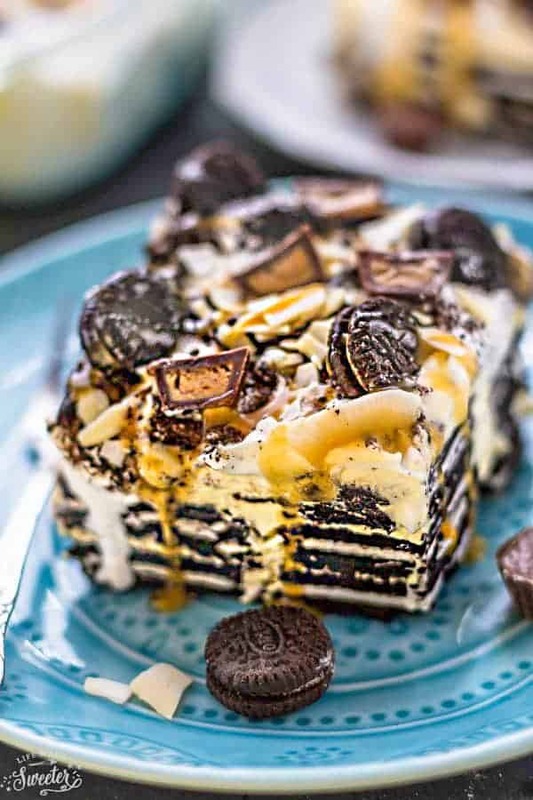 You can see this one is loaded with mini peanut butter cups, mini Oreo cookies, sliced almonds, toasted coconut chips and a drizzle of caramel sauce. 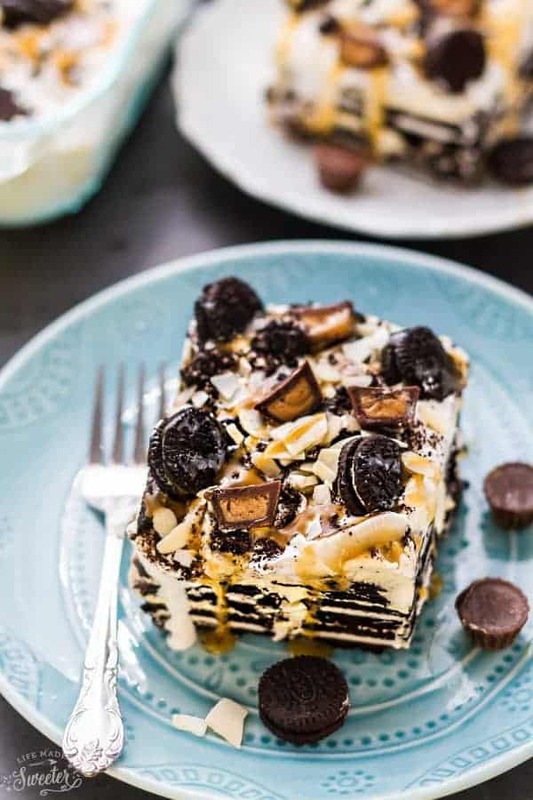 This Peanut Butter Cup Oreo Ice Box cake is even a great make ahead dessert. The best part is you won’t even have to turn on your oven! The hardest part is waiting for everything to chill out in the fridge. 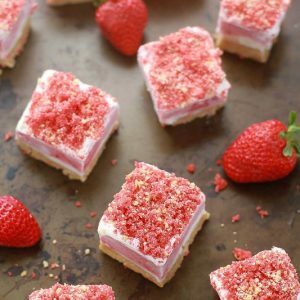 The results are a creamy and decadent no bake dessert with hardly any effort! 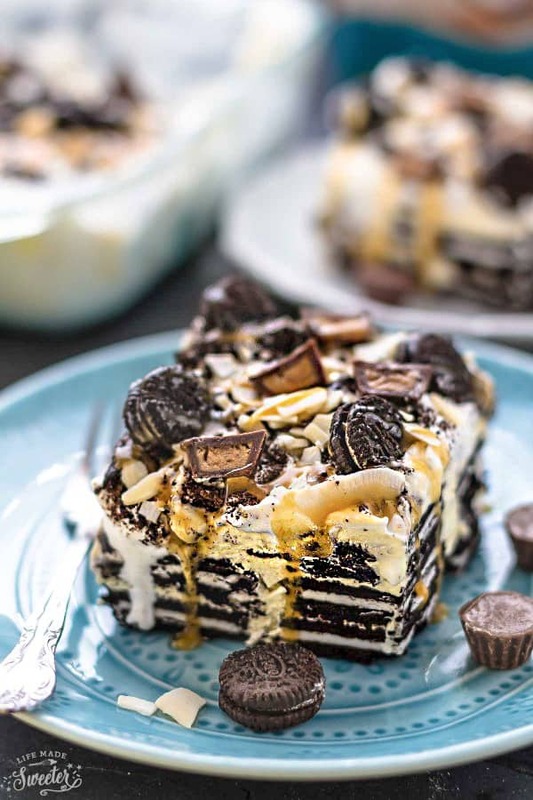 This Peanut Butter Cup Oreo Icebox Cake is so simple to make. With layers of oreo cookies and a whipped cream filling, it makes a delicious and easy treat! Using a stand mixer or a hand mixer, beat heavy cream until stiff peaks form. In a large bowl, make vanilla flavored pudding according to directions on package, using 2 cups of milk. Allow to set up for at least 5 minutes. Fold in 3/4 of the whipped cream leaving the remaining for the topping. In a separate small bowl, pour 1/3 cup of milk. Dip Oreos in milk quickly and then place into the bottom of a 8 x 8 square pan, making a single layer. Spread pudding mixture over the first layer of Oreos. Dip Oreos in milk quickly and place on top of the pudding mixture in a single layer. Spread pudding over the second layer of Oreos. Dip remaining Oreos in milk quickly and place on top of the pudding mixture in a single layer. Spread pudding over the final layer of Oreos. Spread whipped cream over the top of the pudding. Sprinkle crumbled Oreo cookies over. Top with mini Oreo cookies, peanut butter cups, caramel sauce and any additional toppings if desired. Loosely cover with foil and refrigerate for 4-6 hours before serving.